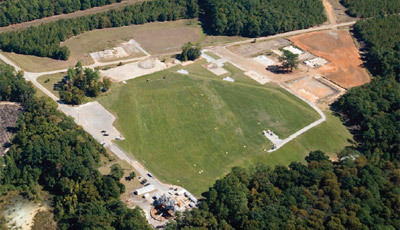 The Department of Energy’s (DOE) Savannah River Site Area Completion Projects (ACP) is responsible for waste units, surface water, and groundwater remediation at Savannah River Site. In its efforts to remediate contaminants, thereby reducing risks to human health and the environment, ACP approaches environmental restoration by using effective project management, continuous communications, and strong working relationships with the regulators. Numerous cost-effective technologies expedite the cleanup process for the Department. The ACP mission is to address the cleanup of 515 waste sites and the deactivation and decommissioning of 985 facilities across the Savannah River Site. The organization is comprised of two pre-existing groups, Savannah River Nuclear Solutions’ (SRNS) Soil and Groundwater Closure Projects and Site Decommissioning & Demolition (D&D). Together; this merger provides an all-inclusive service to the Department, including the aggressive management of inactive waste sites and groundwater cleanup with careful adherence to regulatory commitments and the safe deactivation and decommissioning of hardened facilities across the site. ACP accomplishes its mission by practicing the fundamental principles of working safely, protecting resources, creating and sustaining high performance teams, using project management systems, establishing long range strategic planning, and a strong commitment to customer satisfaction. To maintain its safety performance, personnel participate in the Site’s Behavior-Based Safety (BBS) program and practice STAR (Stop, Think, Act and Review) while participating in activities for which safety is a concern. SRNS effectively that a team-oriented approach to safety is successful in maintaining a safe workplace and strong safety culture. ACP’s focus is on reducing the footprint of legacy waste at SRS’s contaminated waste sites and obsolete facilities. The approach for soil and groundwater cleanup is to treat or immobilize the source of the contamination and clean up or slow the movement of contamination that has already migrated from the source. From capping waste sites to installing efficient groundwater treatment units, fieldwork is a top priority. Fieldwork includes closure of inactive seepage basins, rubble pits, rubble piles, and disposal facilities. Major groundwater cleanup systems operate in A/M, C, F, H, and T areas as well as in the Mixed Waste Management Facility, the Chemical, Metals, and Pesticides Pits, and at the sanitary landfill.The approach for deactivating facilities is to safely remove hazards such as hazardous and radioactive waste, nuclear materials, contaminated equipment and debris and to bring facilities to a cold and dark condition. This includes the decommissioning of industrial, radiological, and nuclear facilities. Remediation is being done in a way that completes environmental cleanup and facility decommissioning area by area until all areas at SRS are completed by 2031. Units where waste is left in place will be under institutional controls that feature access restrictions, inspection, maintenance, and long-term monitoring. Typically, soils will be remediated to an acceptable residual risk for industrial workers. Groundwater will be addressed such that required cleanup levels, approved by regulators, will be achieved over time. Many ground-breaking technologies have been pioneered to increase the effectiveness of its remediation efforts and to reduce risk across the site. 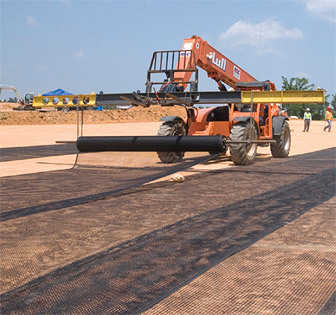 These cost-effective and innovative technologies range from solvent cleanup methods, such as Dynamic Underground Stripping (DUS), to waste site geosynthetic capping, which prevents rainwater infiltration from moving contaminants to the groundwater. There are also several kinds of natural remedies being used at SRS, such as phytoremediation (using natural vegetative processes), bioremediation (using naturally occurring microbes), and natural remediation (using natural processes to reduce contamination). These technologies are proving not only to be a cost-efficient means of reducing risk to human health and the environment, but also are proving to be very successful in shortening the time needed for cleanup (e.g., DUS is saving decades in cleanup time). Maintaining an accurate, approved documented baseline of scope, schedule, and cost using a formal change control method. SRS works closely with the U.S. Environmental Protection Agency – Region 4 (EPA-4), and the South Carolina Department of Health and Environmental Control (SCDHEC) to reduce risk and accelerate SRS environmental cleanup. Two major federal laws drive environmental cleanup: the Resource Conservation and Recovery Act (RCRA), which establishes a system for tracking and managing hazardous wastes from generation to disposal; and the Comprehensive Environmental Response, Compensation, and Liability Act (CERCLA), or Superfund, which addresses the protection and cleanup of the environment from known release of hazardous substances. SRS is meeting the integrated requirements of these two laws through a Federal Facility Agreement (FFA) with DOE, EPA-4, and SCDHEC. The FFA, effective August 16, 1993, specifies how SRS will address contamination or potential contamination at waste units in accordance with RCRA and CERCLA requirements. An FFA is required under CERCLA, to involve EPA and the State in cleanup decisions. Using the ACP approach, SRS effectively executes work with EPA-4, and SCDHEC through the implementation of a Core Team process. This process and relationship greatly enhance communication and productivity to streamline the CERCLA documentation process. The Core Team process also facilitates cleanup problem solving at an early stage. In 2003, the parties signed a Memorandum of Agreement (MOA) to accelerate cleanup at SRS. The parties have worked together to develop a Comprehensive Cleanup Plan, a Program Performance Management Plan, and an End State Vision that includes both inactive waste sites and facilities to be decommissioned that are potential sources of environmental contamination. SRS values communication with its stakeholders. For this reason, SRS has built a highly productive working relationship not only with its regulators but also with other public stakeholders such as the SRS Citizens Advisory Board (CAB). Once a waste unit has been fully characterized, cleanup alternatives evaluated, and a preferred method proposed, SRS solicits comments from the general public, which includes representatives from the media, legislators, educators, and other citizens. During the public comment period, SRS also seeks comments from the CAB. The CAB is an appointed advisory group of citizens that makes recommendations to the DOE, EPA-4, and SCDHEC regarding SRS cleanup. Once comments are received from stakeholders and considered, a Record of Decision is issued that documents the selected remedial alternative. DOE gives regular briefings to the SRS CAB committees on cleanup projects that are in progress, upcoming remedial decisions, and the programmatic and administrative matters that DOE, EPA-4, and SCDHEC are considering in carrying out SRS cleanup under the FFA and RCRA permits.